As you may probably know, it is impossible to import cars unless they are homologated for sale in the United States of America. And the reason is simple. The U.S. government thinks that cars that are not built according to their safety and environmental laws are not safe to drive. So, U.S. residents are not able to import and register them. However, when the car is 25 years old or more, it is eligible for import since they consider it a classic vehicle. So, since it is now 2019, this means you can legally import and register those vehicles they built or introduced up to 1994. If you’re in the market for a foreign car, keep reading. Here are the 20 best, most interesting cars you can own and drive without facing a big fine or having the authorities impound your precious car. Lancia was always big in rallying, so after they banned their Group B model S4 from racing, they wanted something that could work well on the street and on the track. And that’s how the HF Integrale was born. This car came with a 2.0-liter turbocharged four-cylinder engine with 185 HP at first and later up to 220 HP. Also, it had a permanent, well-balanced all-wheel-drive system. The Delta HF Integrale is an important hot hatch because it was the first one with the AWD system. It marked the beginning of the transition from front wheel drive, simple, inexpensive hot hatches, to the high-tech, all-wheel drive performance monsters today. The combination of a powerful engine, sharp handling, great traction, and low weight was intoxicating for the magazine testers of the day. 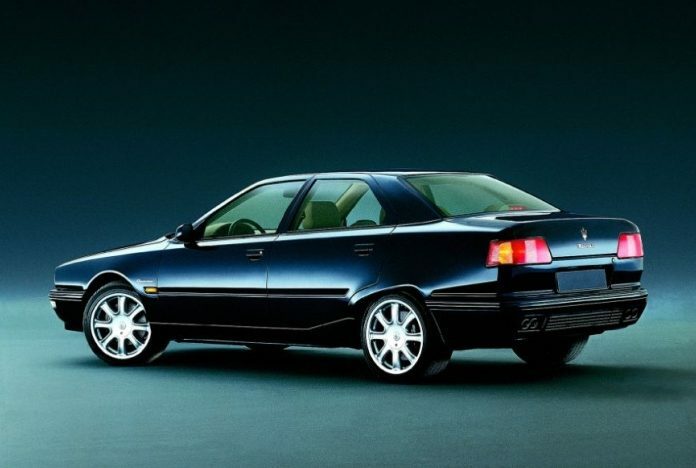 In fact, the Delta HF Integrale received nothing but praise from the public. Over the years, the Delta HF Integrale proved to be a successful concept on rally stages all over the world as well as among hot hatch fans. Since the presented the Evo II version in late 1993 to early 1994, it is eligible for import in 2019 and beyond.